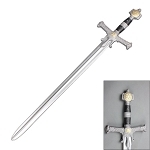 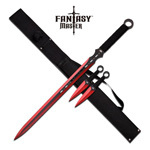 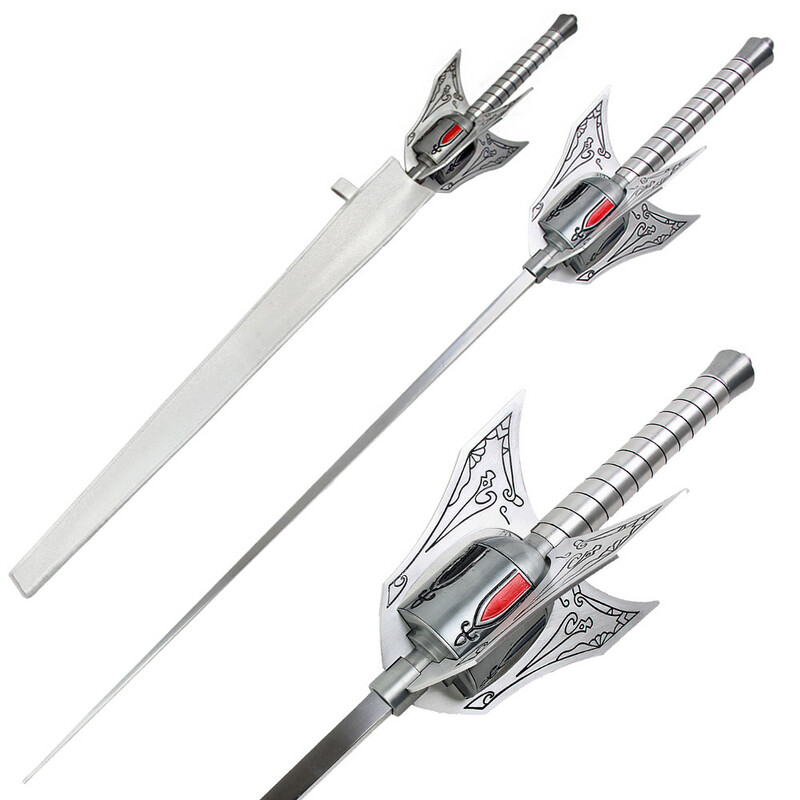 This is the Weiss Schnee Myrtenaster Rapier Full Metal Sword with Sheath. 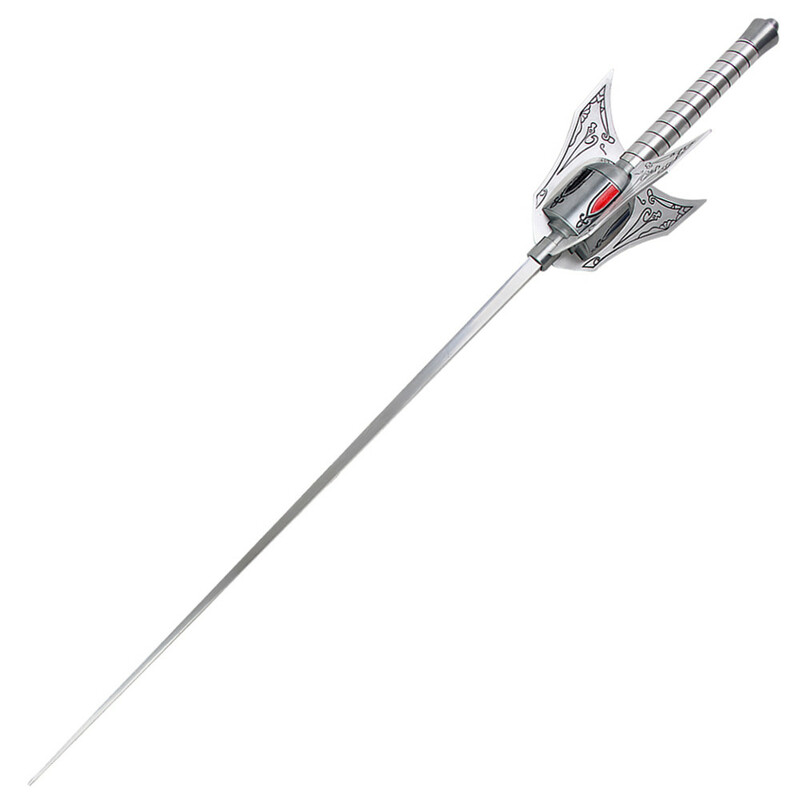 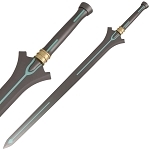 This sword is the rapier carried by Weiss Schnee and is called the Myrtenaster rapier. 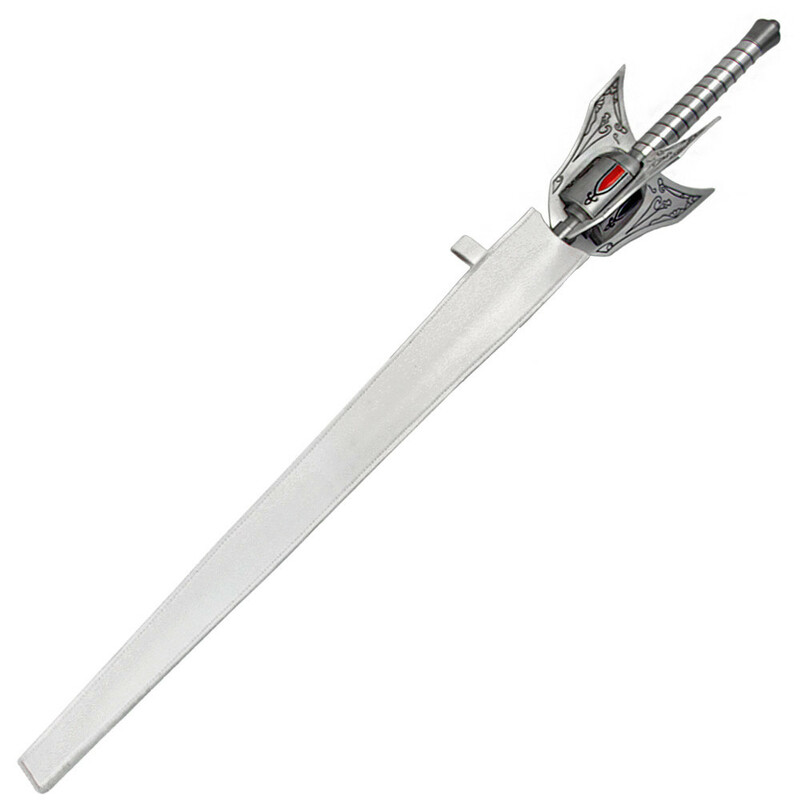 It is unique in that it features a roundel style blade, or a square blade that tapers into a point at the end. 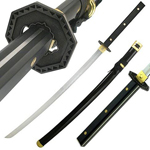 The guard features unique qings with black colored engravings and a rotatable cylinder. 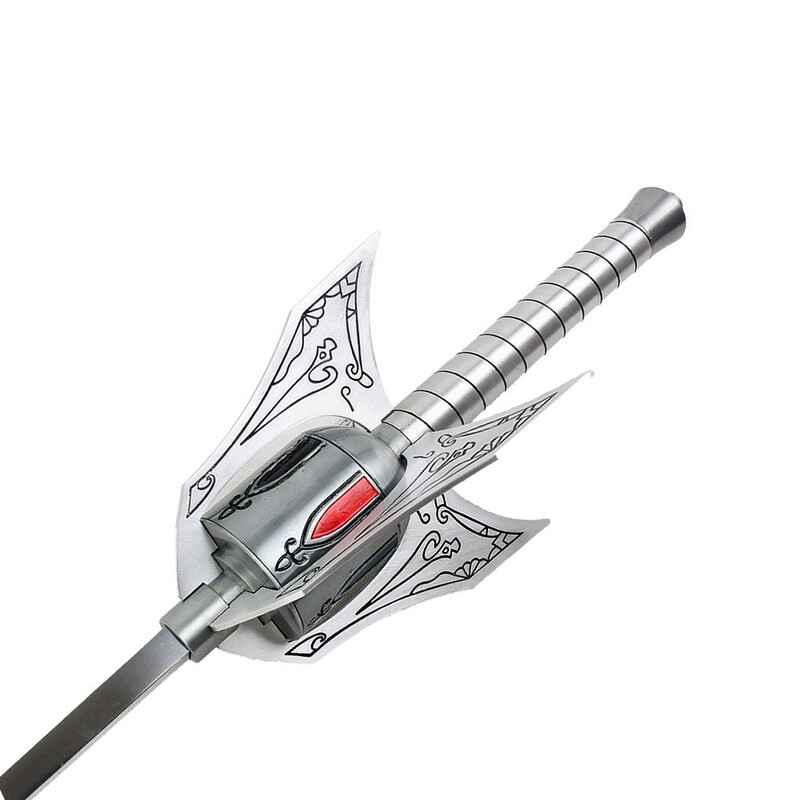  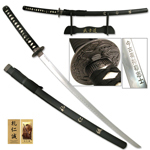 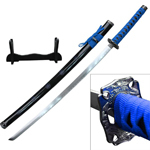 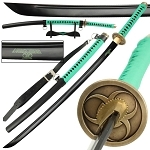 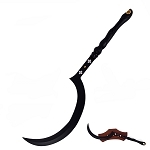 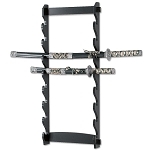 The blade itself is made of steel and the guard, fittings, and handle are made of polished zinc alloy metal. 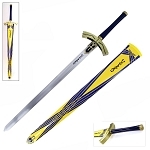 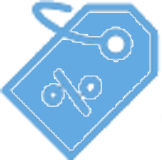 It also comes with a white faux leather sheath with a gold symbol added on the side.